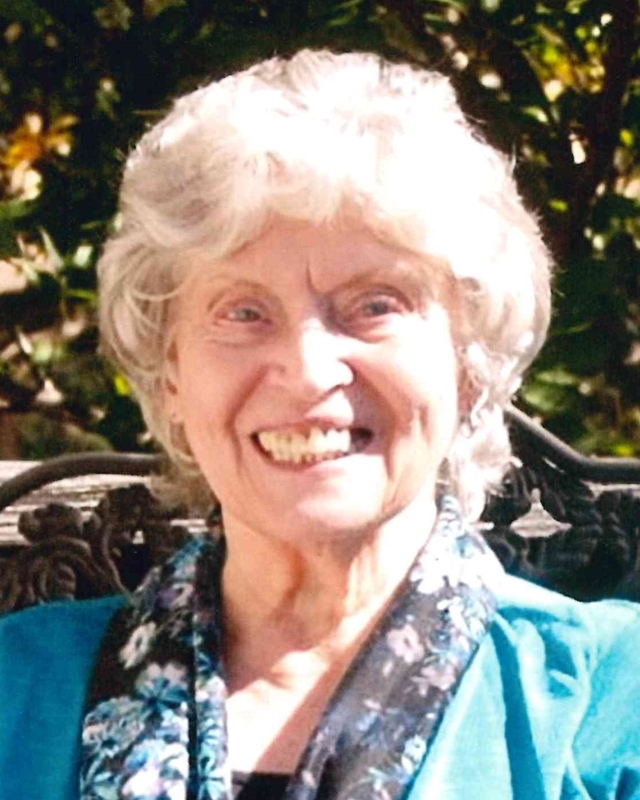 Helga Johanna Benz Luntsford went to be with the Lord on November 30, 2018 at the age of 83. Helga was born in Frankfurt, Germany and came to the United States with her Military husband. She gained her citizenship and was proud to be an American. She was a talented seamstress and owner of Quilts and Things quilting shop. It would not be possible to list all of the reasons that she was an amazing person, but it is safe to say that she had an influence on every person she met and every life she touched was better off for having known her. Helga is preceded in death by; her parents, Hedwig and Friedrich Benz, neice, Martina, son-in-law, Charles, son-in-law Glenn Havard, and two infant sons. Helga will be lovingly remembered by her daughters and sons; Linda Jordan (Bill), Rebecca Endsley, John Luntsford (Chris), and Daniel Luntsford (Molly), sister, Angelika DeMagistris, seven grandchildren; Natasha Heath (Thomas), Shayne Havard (Mollie), Amanda Deane (Stephen), Michelle Harvey (Jason), Megan Rutherford (Adam), Sara Brady (Matthew), and Hayley Luntsford and 18 great grandchildren; Jacob, Grant and Isaac Boyett, Ivy, Ava, and Evan McDonald, Taryn and Salem Deane, Johnathan, Austin, and Anna Harvey, Mya, Adeline, and Henry Rutherford, Gunner and Cooper Havard, and Jax and Zane Brady. As well as a host of extended family and friends. A visitation and celebration of Helga's life will be held from 2-3pm with a Celebration of Life to follow, on Wednesday, December 5, at Lane Funeral Home, 601 Ashland Terrace, Chattanooga, TN 37415, 423-877-3524, with Pastor Clay Thomas officiating. Memorial donations in memory of Helga can be made to a charity or organization of your choice. A special thanks to Traci Brewer and ComForCare for taking such good care of Helga, We also thank all the staff at Memorial Hixson, Dr. Ozborn’s office, Dr. Berglund’s office, John Calvin Apartments, her YMCA buddies who stayed in contact even as her memory failed, and all those that loved and cared for her through the years. We were blessed with the most amazing Mother! Mom raised four children primarily by herself while my Dad was off serving our country. She did this, in the beginning at least, with little understanding of the English language. She had to buy groceries by looking at the pictures on the can which often times turned out to be a surprise when she opened the can. I remember her studying for many months and finally earning her American citizenship. She worked very hard to learn to speak English with as little accent as possible. She learned to drive and obtained her American drivers license. She ran us to scouts, lessons, clubs and church and school events. She was a room mother and baked hundreds of cookies and cupcakes. She chaperoned field trips. She sold girl scout cookies. She volunteered with the American Red Cross and worked at the army hospital on base. She sewed most of our clothes and taught us how to sew, knit and crochet. She sewed for others to earn extra income. By herself she moved four children, one in diapers, to another state. To do this she had to pull a trailer which she had never done before. When Mom and Dad divorced, even with child support Mom had to work full time at minimum wage jobs trying to make ends meet. I don't ever remember doing without anything I needed. Our Mom was an extraordinarily gifted designer and seamstress. She went to work for a quilting business and before long she had her own quilting business. She became very popular with local interior designers making bedspreads, curtains, drapes and pillows. After she retired she continued to sew until she was no longer able to. She loved to swim and went to the North River YMCA Five days a week until her health would not allow it. She loved animals of all kinds and until her health failed she volunteered at the shelter and with a cat rescue. Her favorite channel was the Animal Planet and she watched it all the time. Her beloved cat, Cricket, passed away before her and she kept his photo by her bed. My Mother taught us honesty, and hard work, but most of all she taught us that nothing is more important than God and family. She has always been there for us, had faith in us and believed in us, even when some of us were rebellious and hard headed. She will be missed more than words can say. We love you, Mom.